If you follow me on Facebook or Instagram, you might know that I cut the tip of my finger off in a blender accident. I got quite a few stitches and have been on some pretty heavy pain killers. On Saturday, while under the influence of a few of those pain killers, a decided it would be a good idea to scrapbook. It actually turned out to be a pretty terrible idea. There was too much accidental hitting of the finger! I powered through and got one layout done just for fun. Not bad for under the influence of pain killers, right? I like the colors a lot! 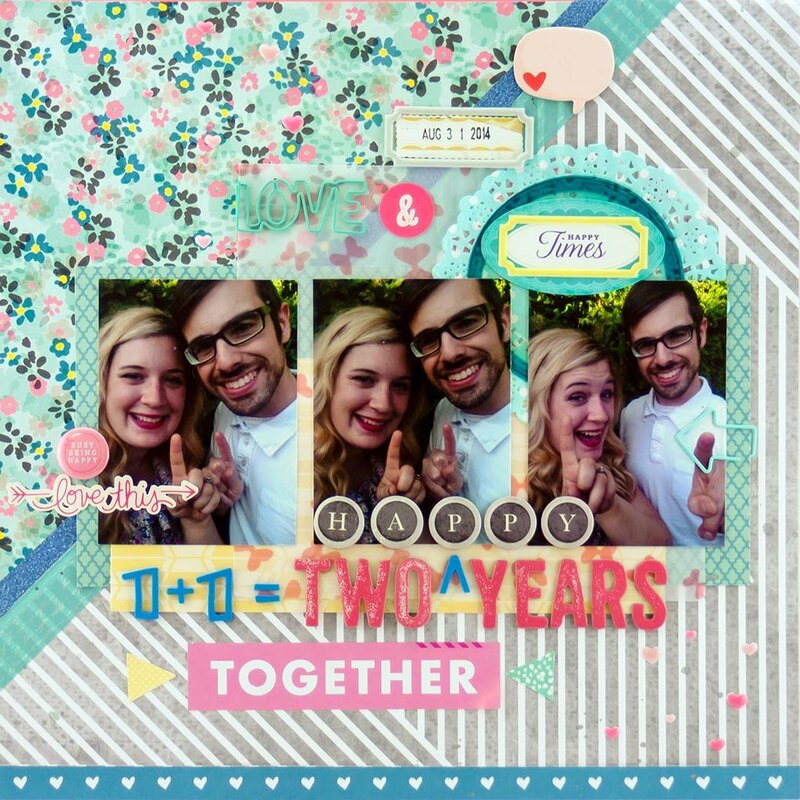 I had lots of fun creating this layout, but I think I will be taking a brief hiatus. The winner of the giveaway will be drawn in a few days, and I will resume regularly scheduled blogging when I'm feeling better. Awesome job, even when you're injured, Allie!! But you should definitely take a break, so you can get some rest and heal quickly!! i love this, allie! i cant believe you did this while you were hurt and "under the influence"! i can't scrap this well when everything is going perfectly for me!